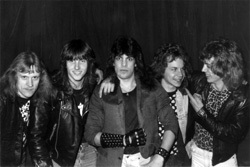 Hard rock and heavy metal history is filled with bands that formed with great potential, yet never garnered label attention, but still had a successful life if only regionally. One of those band's is Vancouver's Osiris. They had a significant run at playing traditional heavy metal for seven years, between 1986 and 1993. During those years the band cut three demos (Osiris 1st Edition, The Hand Of Fate, Osiris), one live album (Live at Profile), and one cassette EP, Osiris 2nd Edition. With some differences, all these recordings plus some out takes and rehearsal recordings are gathered within the two CD set Resurrection. The discrepancies arise when you compare online sources with the label's info about the live recording set list. Either they didn't use the entire set or somebody has the wrong information. Nevertheless, what you have with Osiris is essentially traditional heavy metal. 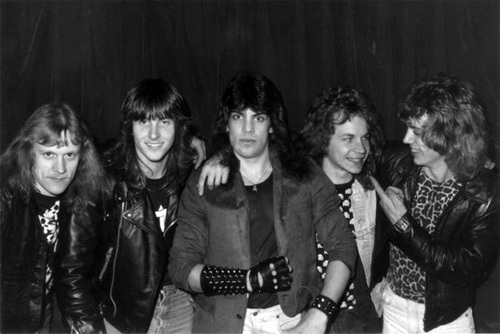 The band's sound is obviously influenced by the New Wave of British Heavy Metal like Iron Maiden, but also to the American side like Fates Warning (early) and that successful heavy metal band farther south, Queensryche. Characteristic of the former trend, Osiris' original metal features twin guitar harmony in riffs and pitched, sometimes, screamo vocals. They had a succession lead vocalists over the seven years, yet all had the timbre to fit the Osiris sound. Curiously, the band dropped to one guitar and later towards then added keyboards, for the last demo and the final cassette EP, Osiris 2nd Edition. Also regarding that later period, it seems that Osiris may have been toying with progressive power metal as their sound seems more mature and lightly technical, but that's just a feeling. What can be said about Osiris is that they were large on talent, inspiration, and perseverance through seven years: a true hidden gem from Western Canada. 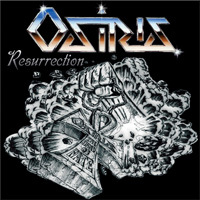 Resurrection may be a long play, but if you like exploring classic heavy metal in it's early roots, you'll enjoy Osiris. Vancouver's Osiris was large on talent, inspiration, and perseverance through seven years: a true hidden gem from Western Canada. Resurrection may be a long play, but if you like exploring classic heavy metal in it's early roots, you'll enjoy this band.